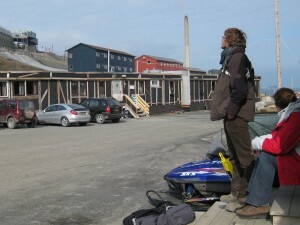 The first entry on this year's weblog contains tips for travellers. Tip 1: Beware of pick pocket. They stole all my camera equipment in the train passing through Amsterdam. Tip 2: Ground personal in Schiphol gives instructions that your luggage will have to be collected at the bagage hall in Gardermoen/Oslo to go through customs. This will not happen if your luggage is labeled for Longyearbyen and your flight will not have an extra landing within mainland Norway. 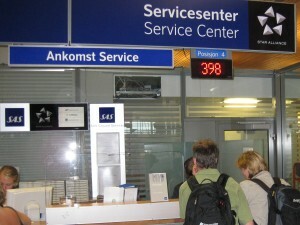 Upon arrival in the bagage hall go directly to the SAS service desk, get yourself a number in line and check with them if your luggage will appear. It safes you an hour waiting. 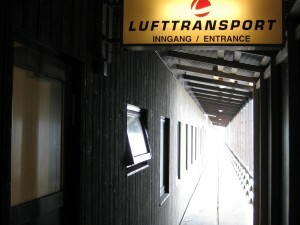 Tip 4: Your route to Lufttransport while arriving at Longyearbyen airport is a bit hidden. Up the stairs into the right door, which brings you in a roofed passage. 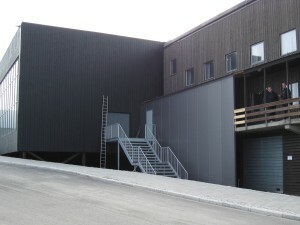 First door to the left. 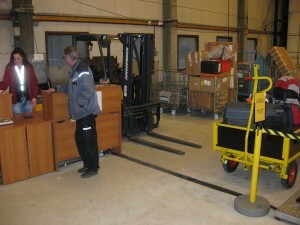 Straight on in the hall to the hangar whgere there is someone to weigh your luggage. 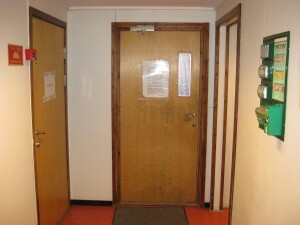 Than return to the hallway and take the door to the left, remove your shoes and go up to the waiting room. Free coffee behind the bookshelves. Tip 5: All luggage will be stowed away during the flight. Don't forget to take your photo camera with you in the plane. Ear plugs are regarded as extra comfort during the flight. Tip 6: Enjoy your trip, but be prepared for waiting. This page has been given the following keywords: [station] You can click on each keyword to get an overview about related pages.